2. Products: Easily provide links to view the products they service. 3. News: The news section sorts automatically by date and is scrolling. 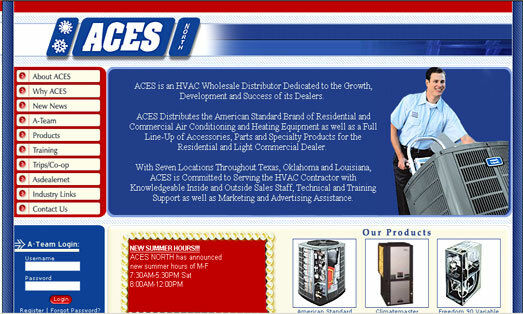 Segnant made ACES AC Supply an easy to use and view site capable of dsplaying all the information to effectively inform their potential and current clients.